Here’s another cute little guy — found at http://www.flickr.com/photos/saufnase/535555539/ — go to the flickr address to see more info about the creation of the image below. 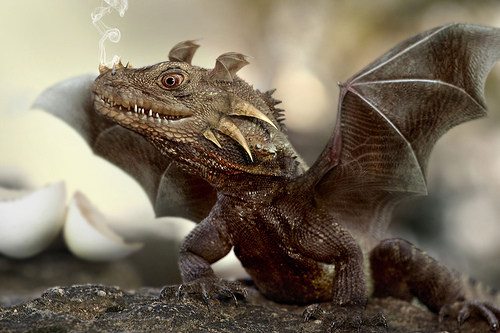 This entry was posted in Dragon Images and tagged baby dragon, Dragon Images. lol…. they are indeed gorgeous images! I apsalotly love dragons I always wanted a pet dragon secretly the first dragon is so cute! 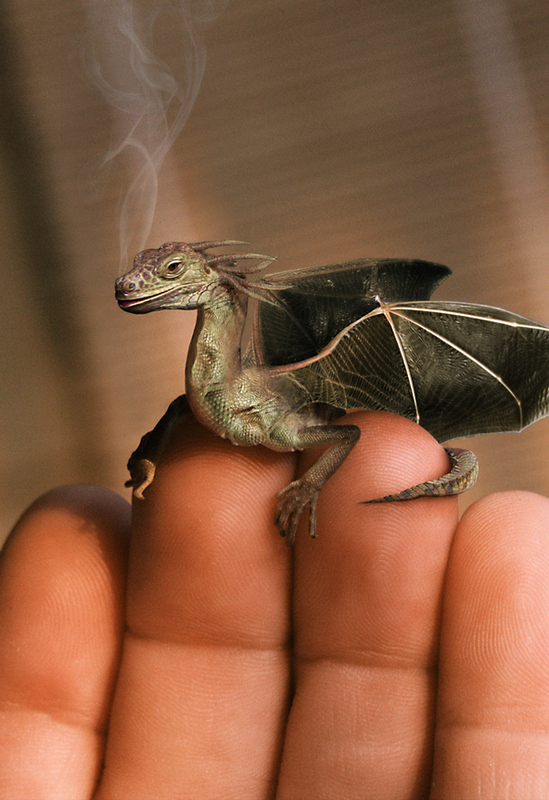 The baby dragon on the finger, it’s not actually a dragon. It’s a type of gliding lizard. Look up, ‘baby dragons’ click on the first pic of that little guy, click on the link to that picture, and there you’ve got it! Thanks for your interest in my blog but you’re mistaken about the baby dragon. As I stated in my post it is a photomanipulation by Jan Oliehoek. Go to his website at janoliehoek.com and click on the “Gallery” link to see it there. 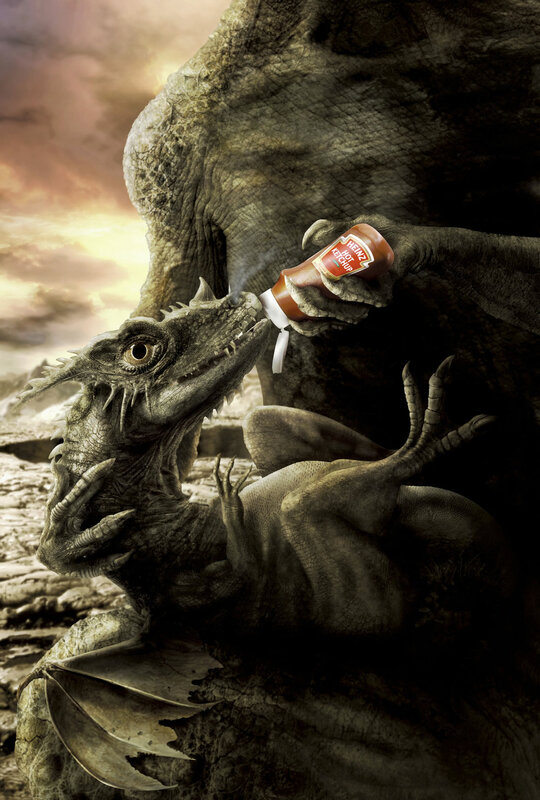 I looked at the article you suggested (http://www.bizarbin.com/baby-dragon) and yes, the baby dragon picture is there, but unlike the other photos on that page it is NOT a Draco volans. One obvious sign is that bat wings used in the photomanipulation look nothing like the ribs and skin flaps of the gliding lizard – the author of that article has mixed fact with fiction.